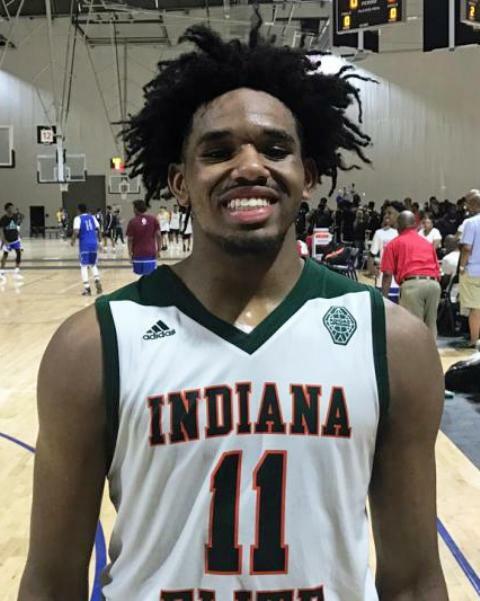 The son of former Ohio State standout Jerry Francis blew up last grassroots season and started to hear from schools all across the country. After receiving offers from Ohio State, West Virgina, Florida State, Indiana, Iowa, Missouri, Nebraska, Purdue, TCU, Virginia Tech, and more. Francis decided to commit to Coach Roy Williams and the University of North Carolina. "It feels great to know where I'm going. UNC is such a great program with a great coaching staff. Being committed already allows me to be able to focus on a lot more stuff," Francis said. Last high school season Francis was the floor general for his Pickerington Central team. After averaging 16 points, 6 assists, and 5 rebounds a game he helped lead his team to a 26-3 record. Francis was the only sophomore to earn Division 1 First Team All-State honors. Francis was many people's preseason favorite to win Mr. Basketball this season in the state of Ohio despite being only a junior. Missing this season due to injury, Francis hopes to be back on the court as soon as possible. Without a date set on his return Francis is going to get checked out by UNC doctors next week. Once he is back to healthy you can expect to see the same Jeremiah that was tearing up the circuit. A quick explosive pure guard who uses his strength to his advantage while finishing in the paint. Francis is great at finding his open teammates and can pass the ball as good as anyone in the country. Excelling at finishing at the rim and in transition Francis can also step outside and hit open shots. Hungry to compete and get back to playing, expect to see big things from Francis once he steps back on the hardwood.